Track calories burned, heart rate and more. 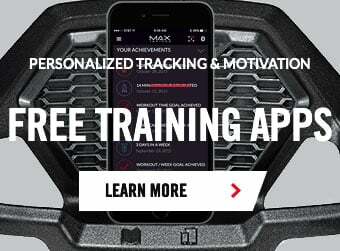 Set goals and win awards and achievements as you hit personal records with the Bowflex® Max Trainer® App. Sync your workouts with MyFitnessPal®, Google Fit and Apple Health. Stream video content from our professional trainers that will instruct, motivate and help you be more successful with Max! Home use – warranty varies by country; please contact your local retailer for details.